Formulated with patented Active Naturals, Aveeno Daily Moisturizing Lotion contains ingredients derived from nature. Clinically proven to moisturize for full 24 hours helpful for dry and sensitive skin. Palmers Coconut Oil Formula Body Oil 150ml is Infused with Tiara flower petals for a luxuriously rich moisturization, this body oil is made with ethically and sustainably sourced coconut oil and Tahitian Mono oil. A natural, drug-free sleeping solution, these soft foam earplugs are made with super soft, silky smooth comfort foam. 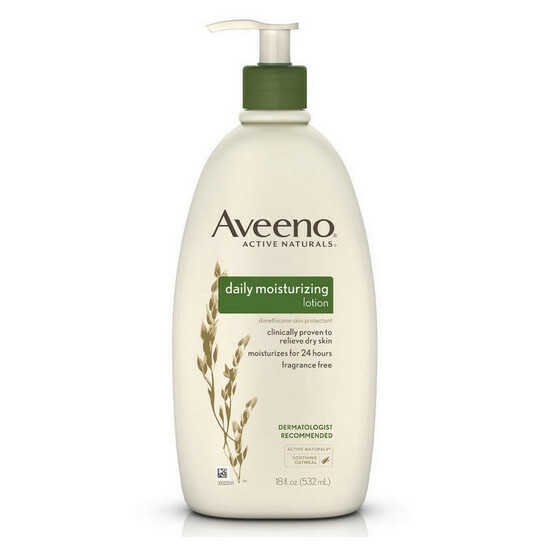 Formulated with patented Active Naturals, Aveeno Daily Moisturizing Lotion contains ingredients derived from nature. Clinically proven to moisturize for full 24 hours helpful for dry and sensitive skin. 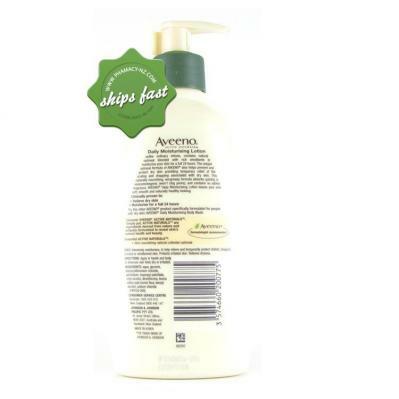 Formulated with patented processes that retain their full strength and purity, This fragrance-free, non-greasy lotion contains natural colloidal oatmeal blended with rich emollients so that it may help moisturise the skin for a full 24 hours. Clinically proven to moisturise for a full 24 hours. Patented Active Naturals, which means this product contains ingredients derived from nature and uniquely formulated. Formulated with patented processes that retain their full strength and purity. Ideal for overly dry and sensitive skin. Skin nourishing natural colloidal oatmeal. Apply to the skin after showering. Apply as well whenever skin feels dry or irritated. Store in a cool dry place away from direct sunlight. Keep out of reach and sight of children. 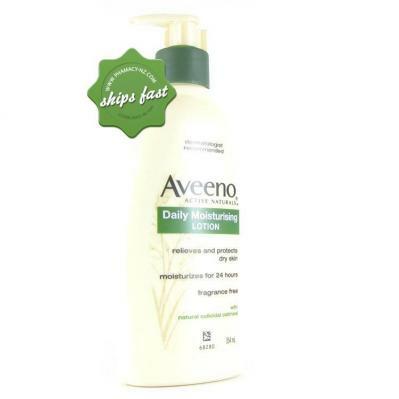 Save on petrol - buy Aveeno Daily Moisturizing Lotion 354ml online at a great price and have it shipped to your door fast!